Sauvignon with a smallest percentage of other white grapes. The white grapes reached the winery in good health, ripe to exactly the right point; slow, low-temperature fermentation maintained all the aromatic potential of the grapes. 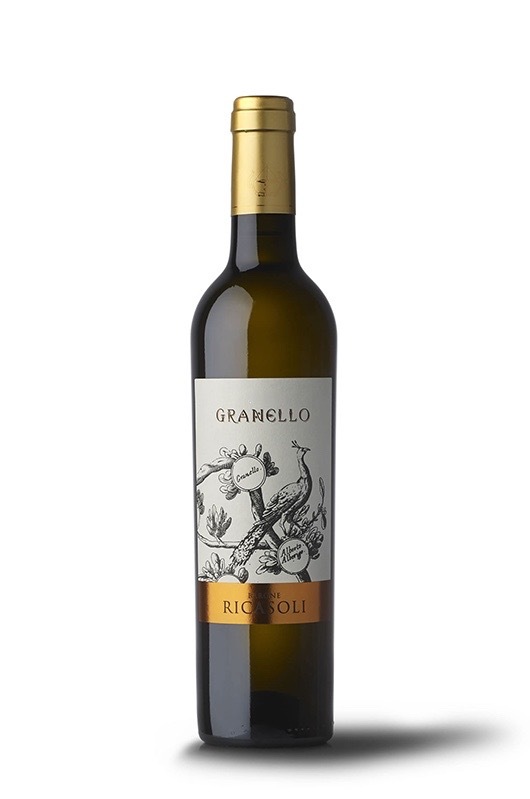 A superlative year for the Sauvignon blanc, surprisingly fresh and fruity, with all the personality of a great Brolio wine. Extremely clean nose, with a very wide varying aromatic framework of candied citrus fruit, dried figs, apricot, and pineapple. Lively concentration, fairly dense and succulent, sweet and well-structured. It pairs well with fruit desserts.